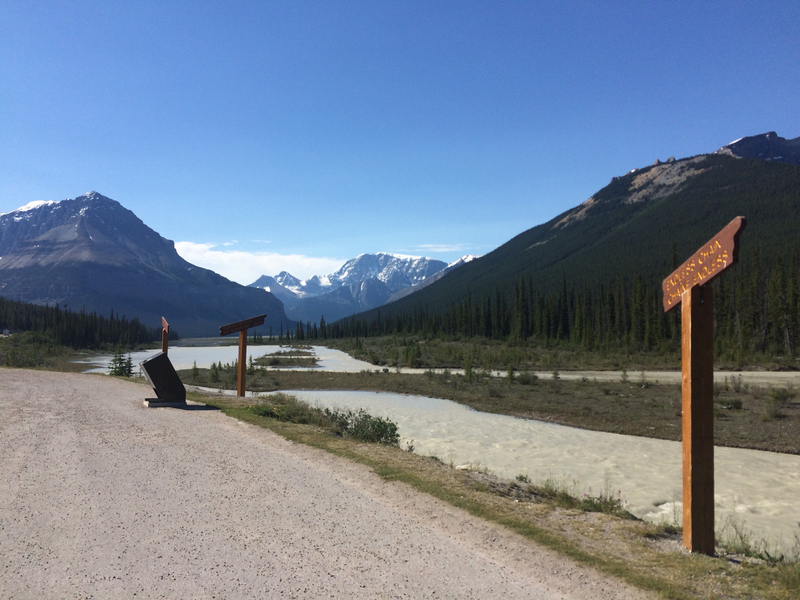 Today was the Icefields Parkway. Lot of climbing from the campground so I was putting along at about 70 kmph. 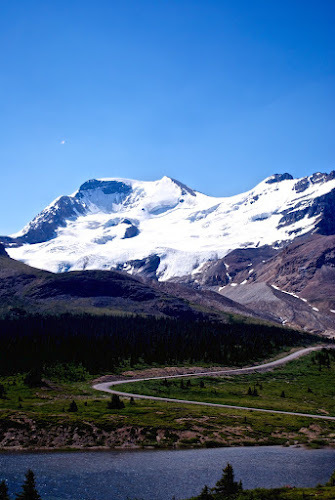 For most of the way to the Icefield Centre, where this photo was taken, the roads were pretty empty with a car passing my maybe every 15 minutes. On the Banff side, the traffic was much heavier and they had these 60 kmph zones in the middle of nowhere with no rhyme or reason. Needless to say, I was passed often. 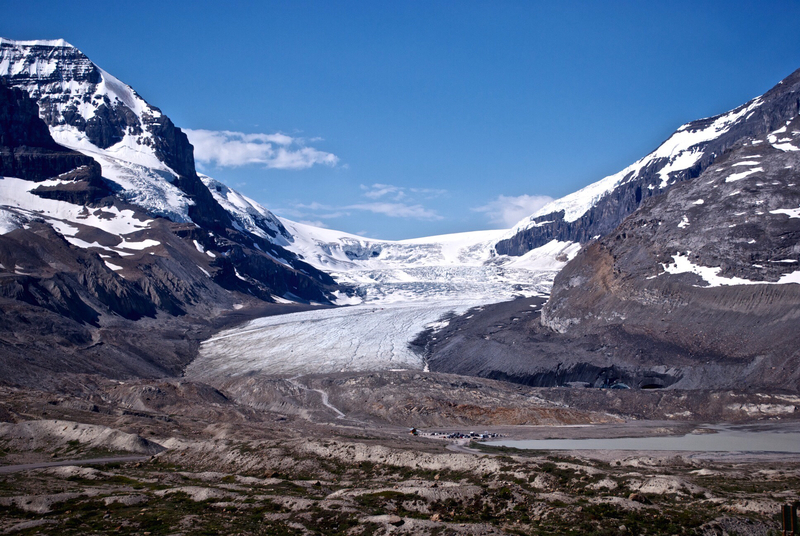 This is the Athabasca Glacier and is part of the Columbia Icefield. Meltoff from the icefield feeds the Pacific, Atlantic and Arctic oceans. Compared to older photos, you can really see how much the glacier has retreated in a relatively short time. This is the view to the south towards Mt. Athabasca also taken from the Icefield Centre. I expected there to be a regular visitors center but the building seems to cater to bus loads of tourists with restaurants and multiple glacier tour ($$$) options. At the time I was there, the place was overrun by about a dozen bus loads of Japanese tourists all bundled up in the jackets, wool hats and scarfs. BTW, it wasn't that cold. At the Icefield Centre, I felt compelled to lock up my riding gear and helmet for the first time on the trip. The closest parking space was well out of sight. 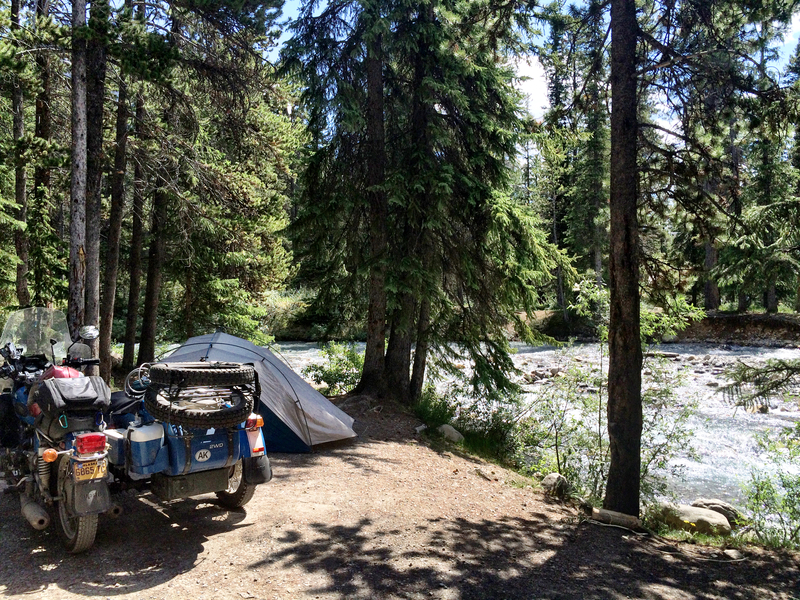 By early afternoon, I found a campsite at Mosquito Creek right next to the water. The sound of rushing water should drown out any other noise such as from those that insist on sharing their music with the world. Based on the number of bikes (hundreds) on the road today, this must be a popular place to ride. Especially on a beautiful weekend like this. The temperature never really went higher than maybe 80°F while riding. Absolutely wonderful. Mondays post is scheduled for later today. I missed the icefield parkway on the way home from AK...route changes, mechanical issues....good pics. This makes me wonder how much the glacier has receded since we were least there in the late 90's. I used to marvel at the color of the glacier run off in the lakes and rivers. Maybe quite a bit. compare it with your old pictures.